Yarrow is like a good, long time friend -- the perfect complement. When needing something to protect against negativity, yarrow is there, providing a shield. When delving deep into the spiritual world, using our powers of divination and psychic vision, yarrow helps heighten our experience, and assists us in seeing more clearly. Yarrow provides healing when we are ill, helping us purge our fevers and lessen our aches and pains. She is especially adept at healing wounds, being able to slow blood loss, cleanse wounds, and repair damaged tissue. * Yarrow has been popularly used throughout history by soldiers to heal the wounded in battle, even as recently as World War I.
Yarrow is associated with Achilles, the gifted warrior who was nearly invincible in battle. In fact Yarrow's genus name, Achillea Millefolium, is derived from the name Achilles, and translates to “Achilles’ thousand leaved herb.” According to mythology, Achilles was taught how to treat his soldiers wounds using the powerful herb by Chiron, the wizened centaur who was known to teach his followers the secrets and magic of herbs. 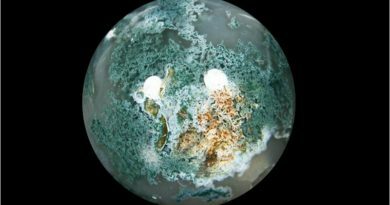 Another myth claims that the plant was formed from rust from Achilles spear. Yarrow has strong ties to divinatory magic. The dried stems are used in the I-Ching, and yarrow is considered a lucky herb by the Chinese. Yarrow is said to grow around Confucius’ grave, and the Chinese believe that yarrow promotes intelligence. In the Hebrides Islands off the coast of Scotland, it is believed that rubbing your eyelids with a yarrow leaf grants second sight. Yarrow flowers can be put in dream pillows to bring about prophetic dreams. Yarrow is used in divination spells to discover who one’s future love will be, and also to find out if a current lover is truly in love. Yarrow is the perfect companion plant. Not only is it strong and durable enough to withstand many ecological conditions, but grown next to other herbs, yarrow can raise their essential oil content. Use yarrow to protect your garden against unwanted pests, as well as raise the health of the plants nearby overall. Yarrow can be worn for protection, and when held it can dispel fear and give courage. Yarrow is powerful for love spells. To guarantee love will last seven years, hang dried yarrow over the bed and use it in wedding decorations. Yarrow can help when seeking to attract friends or refresh ties between distant relations. Yarrow was also used in exorcisms and to banish evil, as well as summon the devil. Yarrow is associated with the seventh chakra, and yarrow oil and incense can cleanse the aura. Yarrow tea can strengthen psychic abilities, and drinking yarrow tea before divination to help the mind keep focus. Yarrow is very useful when trying to communicate with a loved one psychically, and to help solve arguments it can help you and your lover see each others’ point of view more clearly. Yarrow can strengthen the power of other herbs in magical use. To have an easy labor, keep yarrow on your right side. Perhaps the most popular use for yarrow is as a sweat inducer. 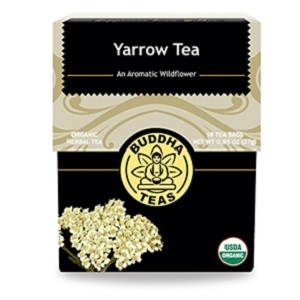 A cup of yarrow tea can help you break a sweat, which in turn can help break a fever. Among yarrow's many folk names, it is also called nosebleed, and by no coincidence. Not only can yarrow cause nosebleeds, it is an effective remedy for against them. Simply take a yarrow leaf, squish it a little to release its aroma and therapeutic oils, roll it into a ball and use this to plug the nostril(s) that is bleeding. When suffering from hemorrhoids drink yarrow tea, or use a yarrow poultice on the affected area. When it comes to issues of the blood, yarrow is a powerful balancer, especially when it concerns the menstrual cycle. Yarrow is often used to start a menstrual cycle that is arriving late, as well as ease the flow of a heavy cycle. For these same reasons, pregnant women should not ingest yarrow. Yarrow is Nature's bandage. Folk names like Soldier's Woundwort and Knight's Milfoil hint at its history as a sort of first aid kit in the midst of battle. Yarrow leaves can be used to pack a wound and stall its bleeding. They also have antibacterial qualities to help keep the wound clean of infection. Using yarrow to wash your hair is believed to prevent baldness, although it won’t cure it if already balding. Yarrow encourages the body to sweat, which can help break a fever. It assists the body in ridding itself of toxins, and a steam bath with yarrow in it can help relieve a headache. What are Your Thoughts on the Magic of Yarrow? What do you think about Yarrow and its wonderful, magical properties? Do you have any other creative ideas on powerful ways to use this herb? Is there an herb or plant you would like us to discuss? What bring you to this article today? We'd love to hear from you! "Witchipedia." Yarrow -. N.p., n.d. Web. 16 Aug. 2016. "Yarrow Flowers from Alchemy Works - Herbs for Witchcraft." Yarrow Flowers from Alchemy Works - Herbs for Witchcraft. N.p., n.d. Web. 16 Aug. 2016. En.wikipedia.org. (2018). Achillea millefolium. [online] Available at: https://en.wikipedia.org/wiki/Achillea_millefolium [Accessed 3 Mar. 2018]. Hunter, C. (2018). Yarrow Myth, History, Folklore, and Magic - The Practical Herbalist. [online] The Practical Herbalist. Available at: https://www.thepracticalherbalist.com/holistic-medicine-library/yarrow-myth-and-magic/ [Accessed 3 Mar. 2018]. The Alchemist's Kitchen. (2018). Yarrow: Ancient Herb of Healing, Protection, and Power. [online] Available at: https://www.thealchemistskitchen.com/blogs/blog/64323523-yarrow-ancient-herb-of-healing-protection-and-power [Accessed 3 Mar. 2018]. Gardensablaze.com. (2018). Yarrow. [online] Available at: http://www.gardensablaze.com/HerbYarrowMag.htm [Accessed 3 Mar. 2018]. Colorado School of Clinical Herbalism. (2018). Yarrow Throughout History. 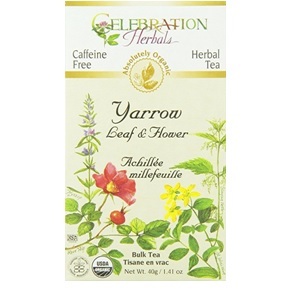 [online] Available at: https://clinicalherbalism.com/yarrow-throughout-history/ [Accessed 4 Apr. 2018]. Mercola.com. (2018). What Are the Benefits and Uses of Yarrow?. [online] Available at: https://articles.mercola.com/herbs-spices/yarrow.aspx [Accessed 4 Apr. 2018]. Mother Earth News. (2018). 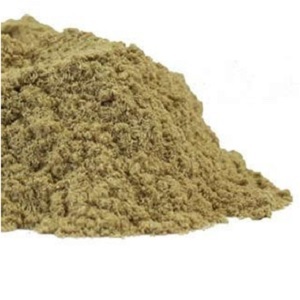 Everyday Yarrow Uses for Natural Healing – Natural Health – MOTHER EARTH NEWS. 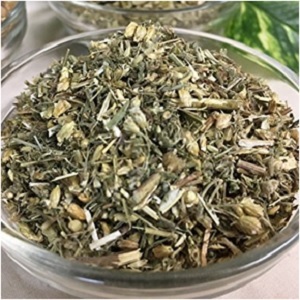 [online] Available at: https://www.motherearthnews.com/natural-health/herbal-remedies/yarrow-uses-natural-healing-ze0z1401zbla [Accessed 4 Apr. 2018].